UKIP is fielding candidates in some wards along with the Green Party and there is also one independent candidate and a candidate for the Social Democratic Party. The Greens are fielding one candidate in Devonshire ward, one in Meads, one in Old Town and one in Upperton – Linda Wintle, Dorothy Forsyth, Jo Henderson and Alex Hough. 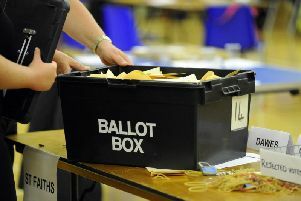 UKIP’s fielding Ian Garbutt as a candidate in Langney, Christopher Holloway in Meads, Colin Horscroft in St Anthony’s and Amanda Sheehan in Upperton. In Upperton Alex Hough is standing for the Green Party. Alex has represented Upperton previously on Eastbourne Borough Council and says she particularly enjoyed the casework and is still advocating for several disabled residents. She has lived locally for 18 years and is a chartered physiotherapist who has worked at Eastbourne DGH as well as in Brighton. She now works as a freelance lecturer. Having a professional interest in breathing problems, Alex says she is concerned about the issues around Eastbourne‘s air quality as well as traffic, parking and local housing needs. She is active within the Eastbourne Community Land Trust seeking to build affordable homes for local people. Jo Henderson is standing in Old Town and has been a Green Party councillor on Norwich City Council for eight years. She only left that position due to her recent relocation to Eastbourne. Jo served with up to 14 other Green councillors and sat on a variety of committees. Having worked with people with housing and care needs she says she feels able to understand many of the issues faced by more senior citizens and would work to represent them. She says she has worked with councillors on a range of issues including road safety, recycling and antisocial behaviour and will “be able to use her wealth of experience for the benefit of Old Town and Eastbourne”. In Meads Dorothy Forsyth is standing for the Greens. No details have been supplied for Linda Wintle in Devonshire and no information has been forthcoming from UKIP candidates. Sally Kitchen is standing for the Social Democratic Party in Old Town.